Do you need vehicle storage in a locked, secure yard? 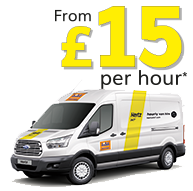 Do you need low cost storage for a vehicle in a secure yard? You can store your car, motorbike, caravan or camper van at many of our self storage facilities. Call your nearest centre today for a low cost, secure solution to your parking.